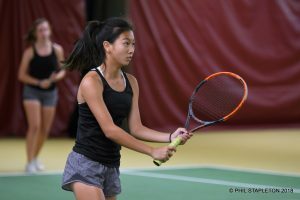 all won their first round matches on Friday, October 26, 2018. All three Wildcat entries fell in the 2nd round. 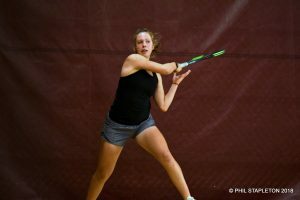 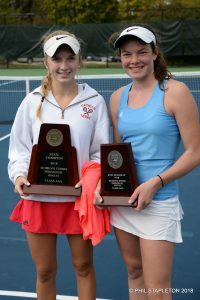 Gehrig became 3A Runner-Up, losing to teammate and defending champion Rose Kenny. 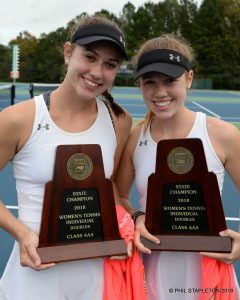 Marvin Ridge’s Imhof & Imhof defeated Catholic’s Logan Stuckey & Kaitlyn Tozzi to become 3A Champions.